You have many options when it comes to getting rid of those pesky areas of fat that can’t be eliminated with exercise or diet alone. CoolSculpting has increased in popularity over the years as it’s a newer procedure that provides excellent results, and minimal recovery time. Liposuction is another option that remains tried and true in reducing fat and leaving the body slimmer and more proportionate. 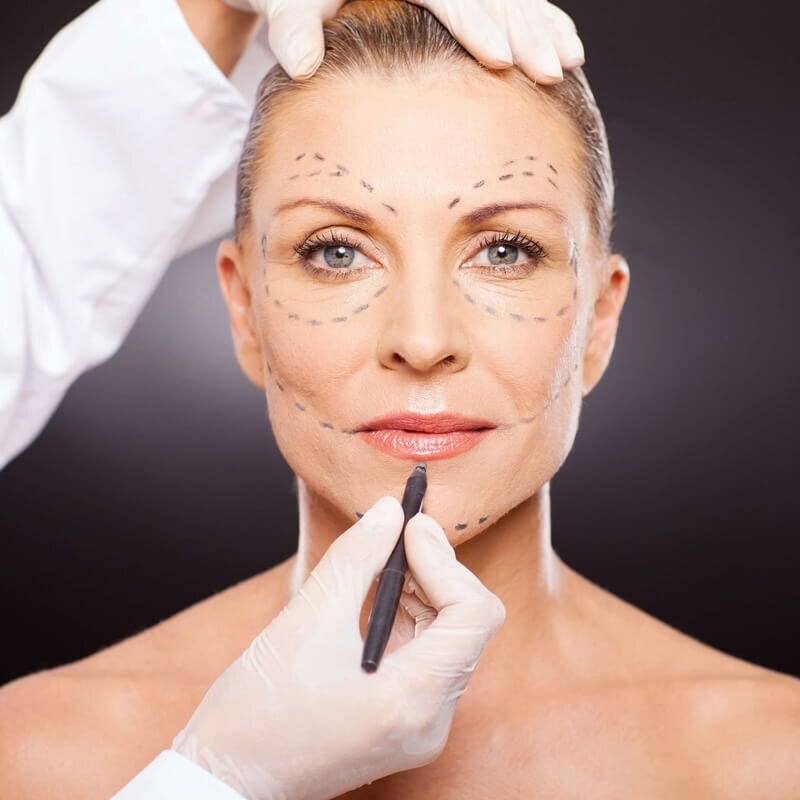 The talented plastic surgeons at The Peer Group in New Jersey have many requests for both of these procedures and would like to help you in determining which procedure is right for you. CoolSculpting is an innovative, non-invasive, fat reduction procedure that uses cooling energy to eliminate fat. This procedure uses a suction device that is placed over the targeted area of fat gently drawing it in and freezing it to eliminate the fat below the skin. Also known as cryolipolysis, CoolSculpting targets many common problem areas including stubborn fat in the stomach, flanks, thighs, love handles, chin area, and under the buttocks (banana roll). With the innovative technology of CoolSculpting, patients don’t have to worry about anesthesia, incisions, or a lengthy downtime. A cooling device is simply placed on the area of the body that needs to be treated. The vacuum gently pulls and lifts the skin upward (and the underlying fatty tissue), so you may experience some pulling or tugging. The lifted fat is then frozen which kills off the fat cells. Over time your body naturally processes the fat and eliminates the destroyed cells, allowing results to appear over time. CoolSculpting is FDA-approved and is considered proven, safe and effective. New Jersey area men and women love how their clothes fit better, and they feel better, and look better too! Dramatic, Slimmer Results with Liposuction! Liposuction is a cosmetic surgery that is considered one of most common, popular and effective fat removal methods available today. Using a punch-hole incision in the skin, a small device known as a cannula suctions out the fat deposits in certain areas. Surgical tumescent liposuction can be performed on the abdomen, flanks, thighs, buttocks, lower back, and many other areas. It can produce dramatic outcomes resulting in a slimmer, more contoured figure. Liposuction is a surgical procedure typically performed under general anesthesia or some other form of sedation such as IV sedation. It is an outpatient procedure that is performed in an accredited surgical center. The areas for fat removal will be marked and a small, hollow tube is inserted through the incision and then used to loosen excess fat. Once the fat is loose, a surgical vacuum is used remove the fat from the body. Liposuction requires surgeon skill so that only the targeted fat is removed. Attaining a natural, smooth surface is important and is the goal during surgery. CoolSculpting is good for men and women who have noticeable pockets of fat that they would like to have slimmed down. This procedure is not a good choice for someone who is looking to have a larger amount of fat removed as CoolSculpting only targets specific problem areas. CoolSculpting is an excellent option for those who are in relatively good shape but simply want to target that stubborn pooch or add contour to the flanks or love handles. It is also reserved for those who do not want to have surgery. Liposuction, on the other hand, is more invasive, therefore it can produce results that are more dramatic than CoolSculpting. This treatment allows for more fat to be removed for a greater contour. Surgeons have much more control over the amount of fat that is removed with liposuction. Also, it is important to keep in mind that liposuction is usually a one-time procedure. If you require multiple treatments with CoolSculpting then liposuction may be a more cost effective and overall better option. Liposuction is also a better option for patients who are wanting more contouring and precise slimming. CoolSculpting will likely not give you that dramatic, hourglass shape you’re wanting. CoolSculpting is an effective way for New Jersey area men and women to treat stubborn areas of fat. Depending on the amount of fat and the location on the body, you may need more than one treatment. Liposuction is recommended for patients that need or desire greater fat removal. Patients should have healthy skin tone and understand that liposuction is not a weight loss surgery. It is used to help slim areas of the body. Both of these procedures are not recommended for obese patients or those who are significantly overweight. These procedures are best for patients who have specific areas of stubborn fat that need to be treated. Patients also need to have realistic expectations as these treatments can help eliminate fat, but they will not remove all traces of fat from the body. The recovery time between these two procedures is quite different as liposuction is a surgical procedure, while CoolSculpting is not. Liposuction will require sutures after surgery, although the incisions are tiny and scarring is generally not a concern. Patients will need to plan for some downtime to allow your body to heal from the procedure. A compression garment should be worn for up to 2 weeks following liposuction and there will be some post-operative swelling and bruising for a few days. The results are often dramatic and noticed instantly. Recovery from CoolSculpting is quite simple. There are no active restrictions following the procedure. Most patients do not experience discomfort, while some feel a little sore, as if they’ve undergone a rigorous workout. Side effects during the procedure include mild pinching, a feel of cold, and some stinging. Following the procedure patients have reported redness, some numbness, and bruising in the areas treated. Results from the CoolSculpting procedure can be seen within several weeks. It can take up to three months to see final results as this is the typical time it takes for the frozen fat cells to naturally dissolve. If you’re interested in learning more about liposuction and CoolSculpting then give our New Jersey office a call. We can get your consultation scheduled and have you meet with one of our surgeons. You’ll be able to go over the pros and cons of each of these procedures and determine which one will give you the results you desire. Once your treatment plan is set, the staff will go over pricing with you. Patients have seen excellent results from both CoolSculpting and liposuction procedures. Either of these procedures are a great way to remove pesky, lingering fat. Give us a call and see for yourself why so many patients choose The Peer Group in Florham Park, New Jersey to help them obtain their dream bodies.